About a year ago I got milk kefir grains from a nice person on craigslist. 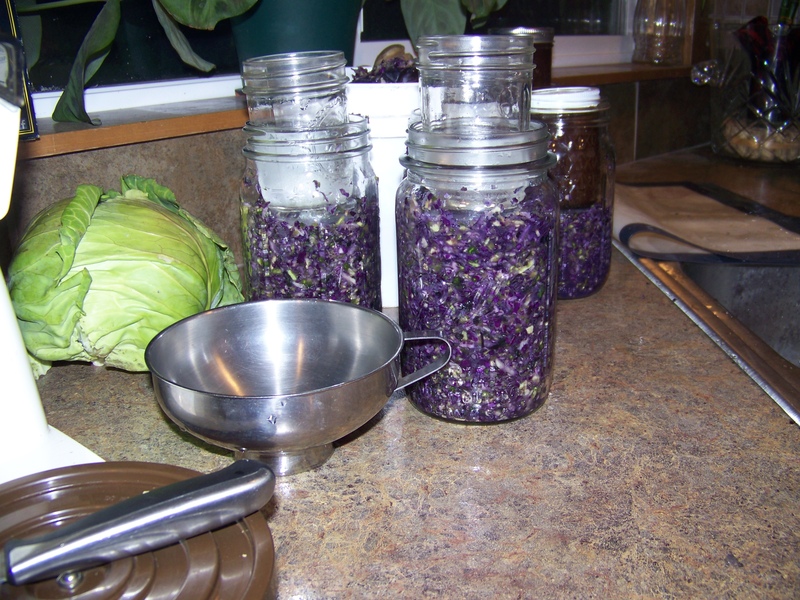 I thought it would be a wonderful way to get probiotics into our bodies. It worked, for a bit. I just couldn’t get use to the very pungent tasting drink. Even with fruit and sweetener I just couldn’t get over the tart taste. But the stuff in the grocery store is SO good!! I thought for sure I would enjoy it, turns out the amount of sugar that is added to the stuff you get at the grocery store would spike your blood sugar so high you’d be doing the Freddy on the front porch. (or maybe that was when I had my first cup of coffee…) Either way I couldn’t do it, hubby on the other hand enjoyed it, or so I thought. Turns out he just liked the probiotics and the protein from the milk. We were using raw cows milk but have since switched to raw goats milk, but I gave up the idea of milk kefir a long time ago. By the way I pronounce it KEY-FUR. So I found a yahoo group about Kefir and joined. A few days later a wonderful woman who lives not far from where I work dropped off some water kefir grains. Basically it’s the same probitoic goodness in the milk kefir but no milk, Yay! It is supposed to taste like a soda of some sort. This lady gave me directions, 1/2 cup of grains to 1/3 cup sugar, fruit and 4 cups water (well you start out with 5 cups water, but you simmer the water and fruit and it reduces). She was using ginger and I’m sure it makes a wonderful ginger ale type drink, which I make in a lacto-fermented soda, I’ll post that later. So I wanted to try fruit, we have an abundance of frozen blueberries that hubby harvested so I used blended blueberries, water, and the fruit then I made my first mistake, I added the grains. There are two different ways to do kefir water, one says to put the grains in a small sack (burlap/cheese cloth type) then you can easily remove the grains, the other says just put it all together and then you can just wash the grains off when you’re straining it. After 48 hours I strained and found that I couldn’t separate the fruit bits out of the grains! Of course you have to rinse with cold water and after my fingers were numb I figured it was a lost cause. I grabbed out as many big grains out that I could and fed the rest to the chickens. With my first lesson over, we drank the “juice.” It was sweet and yet had a fermented/wine type smell. It didn’t taste fermented it tasted sweet. The next batch I added frozen blueberries, in a large pot with 10 cups of water (I’m doubling the recipe) and simmered. After that I strained off the blueberries, added my sugar and let the mixture cool. After it was cool enough to the touch (what is cool enough? well it felt cool to the touch, not warm…) I poured it into two half-gallon jars and added the grains. Let it sit 48 hours and again, success! Sweet goodness. My third attempt, again another lesson in this one. But we do learn from the mistakes don’t we? It’s hard to make the same mistakes twice. This time I decide I want to try Elderberry. Hubby and I LOVE Elderberry. God made these perfect blue/purple berries that not only make one of the best wines I’ve ever tried, and some amazing muffins, but it also is an immune system booster. Many cough and cold remedies have Elderberry in them. So we generally harvest a lot of berries, last year our buckets were OVER FLOWING with these beautiful little berries. The only “bad” thing is the seed, it is quite big for the little berry, and it’s got this crunch that you can’t really explain, you just have to try. Too many seeds can be bad, only because there is just too much crunch. Oh and I forgot to mention it makes an amazing jam too! Ok… back to the subject at hand. So when I’ve made Elderberry soda before (with the lacto-fermented version) it was VERY explosive, which leads me to believe that the sugars are eaten up pretty quickly, and ferments quickly. I followed the same rules for the kefir water and left it for 48 hrs, but the end of that time there was obvious fizz on the top of the jar. We strained it and this batch smelt VERY fermented, in fact I was a bit apprehensive to try it. Hubby went first, bless his heart. He likes it! So I give it a go, when you don’t take a big inhale before you drink it’s really great, when you do you get that fermented smell first then you can’t help but taste it. It seems to have settled down in the fridge, although that could just be my brain playing tricks on me. But what I would do different, is probably add less grains, more sugar and maybe even ferment it less time, or a combination of these things. Happy Kefiring (totally just made that up, I think)!